The loss of a loved one is a difficult time; what can make a difference is the environment we choose to heal and reflect within. 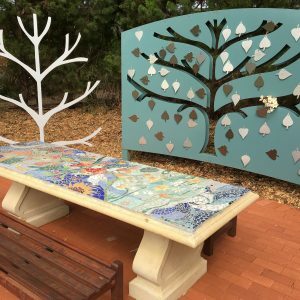 The Laurel Palliative Care Foundation believes it is important to provide our community with a space for healing and reflection, hence creating the ‘Tree of Life’. 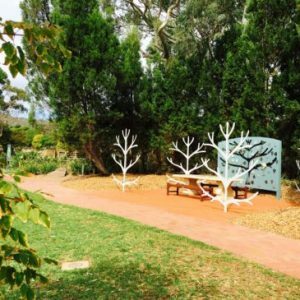 Located in the beautiful gardens of Centennial Park, the Tree of Life is a bespoke sculpture representative of an oak tree with steel hand-crafted leaves, created to honour and remember loved ones in a special, lasting way. Every person leaves us with a legacy; an imprint that remains with us always. Each leaf on the Tree of Life holds an individual expression of these legacies. You can play a role in shaping the Tree of Life – dedicating a leaf is a unique way to celebrate and remember the life of someone significant whilst helping a cause close to your heart. The continuous growth of leaves on our Tree of Life, each with its own personal message, reflects its popularity and has become a source of comfort to so many people. Those who wish to honour an individual story, are invited to purchase a perpetual leaf to continue the growth of the Tree of Life. 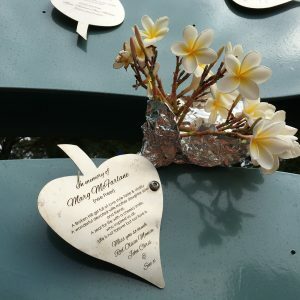 Your contribution and set up cost is $200 plus GST, which ensures your personalised dedication remains as a perpetual leaf on the tree for years to come – this helps people work through bereavement as it becomes a peaceful place for them to visit and heal. If you would like to honour a loved one by contributing to the Tree of Life through the purchase of a perpetual leaf, contact the Laurel Palliative Care Foundation on 08 8404 2485 or via email [email protected]. Alternatively, for more information and to order a perpetual leaf, download our Tree of Life brochure here.